Similar to athletes on large sports teams such as football or basketball, getting scholarships for female golfers at Carmel High has never been an easy task, yet there remain unclaimed athletic scholarships which can be captured if certain paths are followed. One of the nine girls on the 2018 Carmel High girls’ golf team, senior Lauren Hickam received an athletic scholarship for California State University San Marcos this year. Prior to this, CHS only had three other girls be offered a college scholarship for golf: Kaley Kinoshita (2015), Emily Tenneson (2017) and Christine Walker (2014), who had to play on the high school boys’ team and ended up securing a scholarship to the Naval Academy. Hickam is planning on taking the athletic scholarship and attending CSU San Marcos, with whom she will be signing within the next week, and current junior Brenna Ozel could also be capable of receiving one of these scholarships next year, according to golf coach Ross Kroeker. By disassociating herself from Carmel High and competing as a single player in the Junior Tour of Northern California competitions, the soon-to-be CSUSM freshman says that she followed the pattern other golf athletes were taking to get their scholarships. A reporter for Sports Illustrated and writer for Golf Magazine, Alan Shipnuck agrees that this is the best method for female golfers to get these athletic scholarships. He explains that for the majority of golfers receiving the athletic scholarships it depends on outlying factors, and it means that playing in high school matches just isn’t enough. Golf is also one of the rarest sports at Carmel High, for both men and women. Shipnuck suggests that for women it might be the stigma surrounding the fact that golf is a sport for older country-club men, whereas Kroeker explains that it’s just a sport people generally pick up later in life because it takes so much work to get good at it. The scholarships typically been claimed by high school golfers have been academic scholarships, which are more competitive because GPA and community service are considered more highly. “There are two types of scholarships available for golfers: academic scholarships provided by golf organizations and athletic scholarships provided by universities with golf teams,” Kroeker says. The Carmel High golfers definitely put their time in. According to Golf Week, an 18-hole game of golf takes four hours to play through, something that holds true for CHS competitions. On Oct. 30, the Central Coast Section golf competition occurred at the Laguna Seca Course and took the entire school day. Carmel students have access to the opportunities that come with living so close to Pebble Beach. Last year, six different students received scholarships from the AT&T Pebble Beach Junior Golf Association, including Carmel High’s West Whittaker and Zach Hays, but only one of the students was female. Along with the AT&T Junior Golf Organization, other foundations such as Youth on Course, the First Tee of Monterey County and Quail Lodge Men’s Golf Association also donate money to students wanting to play golf in college. 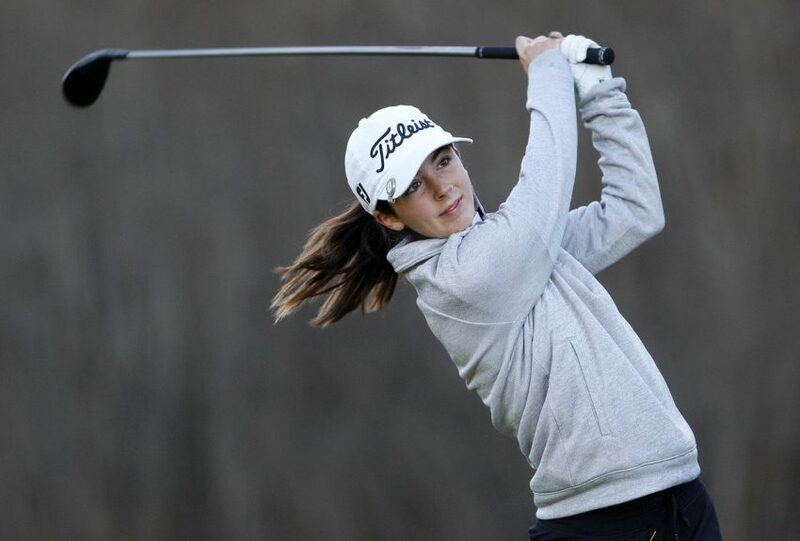 According to Shipnuck, Kroeker and Hickam, if female athletes are looking to gain a scholarship for golf there are a few things they should keep in mind. They need to branch out and away from just the high school team, they should be dedicated to spending time to get better and perform on other golf courses, and they should talk to their coaches about which combinations of possible recruiting colleges and scholarship organizations would work best for them.